Boots & Belles (formerly called Barn Bash) was held on August 4, 2017 at the home of Sustainer Lexie and Shane Frahm in Gretna, Nebraska. 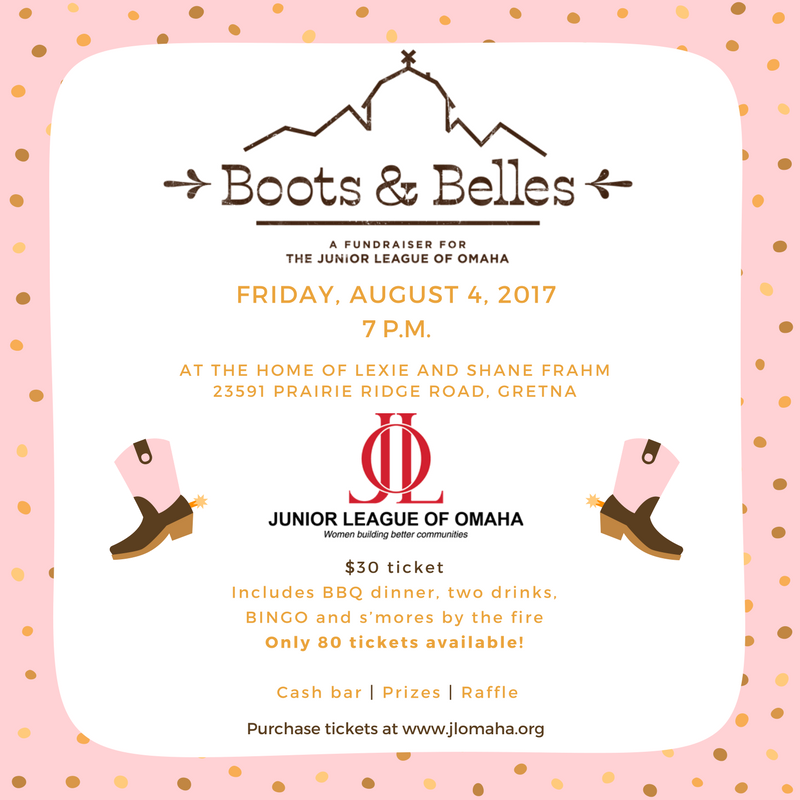 Boots & Belles is an annual fundraiser for the Junior League of Omaha’s projects and initiatives. The theme of the evening was rustic barbeque. The event raised $3,370 and drew seventy attendees who enjoyed BINGO, raffle prizes, a specialty cocktail and s’mores by the fire.